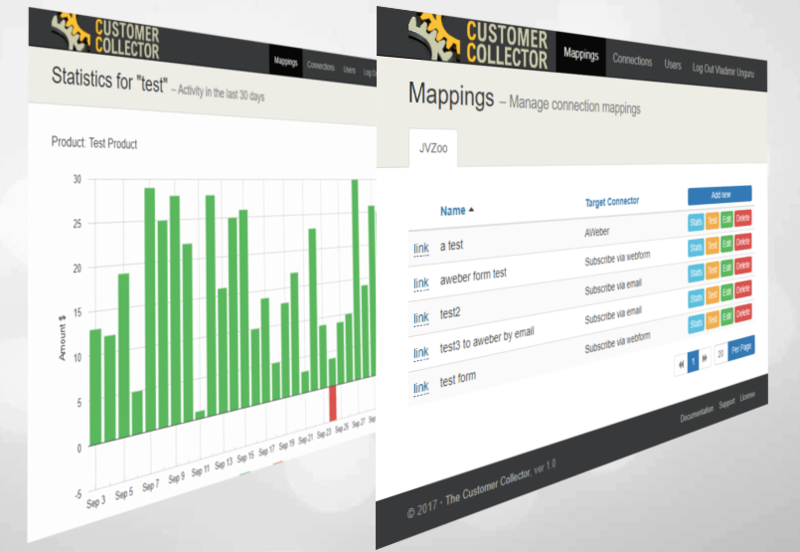 The Customer Collector software was initially born to respond to the need of connecting AWeber to JVZoo affiliate links. But later on, it grew into something much bigger, a universal connector between digital marketplaces — such as JVZoo, ClickBank, W+, or even PayPal — and virtually any email marketing services, generally known as autoresponders. Note: I’m sorry, but The Customer Collector is temporarily unavailable for purchasing. It was necessary to take this measure due to reorganization activities of the launch pages and the members area, activities that are taking place right now. But do not worry, it will soon be launched, shinier and better than ever. You are an affiliate marketer and you are promoting products from JVZoo. 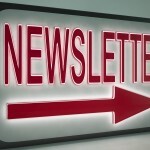 At the same time, you are growing your list by collecting the email addresses of your buyers. JVZoo has a bunch of built-in integrations available to product owners, but the affiliates are not spoiled that much. If you are using GetResponse for list building you are lucky, because JVZoo has a built-in integration for GetResponse into the affiliate links and the buyers’ email address will go into your GetResponse lists automatically. But what if you’ve chosen AWeber for list building, either because you heard that most of the marketers are using it, or your mentor recommended it to you? A squeeze page in front of the affiliate link. With this method, you’ll never be certain whether a prospect subscribing to your list will actually purchase the product or not. Your list will not be a pure buyers list. A squeeze page in front of the bonuses. Your buyers may decide not to get your bonuses and thus you are losing valuable leads. Many AWeber users decided to use GetResponse as a second email marketing service precisely for this purpose. 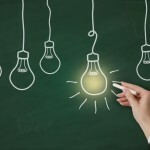 This could be a viable option, but this solution has its downsides as well, like the inability to use segmentation features across two different autoresponders, double work when sending broadcasts, or big chance to have double records for the same customers, which may lead to additional costs among other things. And these are only a few of the issues. It would be awesome to have them on the list the moment they purchase one of our offers. So what would be the solution, though? How could an AWeber user compete with the unfair advantage of GetResponse account owners when it comes to JVZoo and affiliate marketing? Not long ago, JVZoo added a new integration into the affiliate links called JVZIPN. 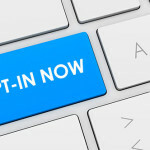 This truly opens many possibilities, but you still can’t connect your AWeber account directly; you need a man-in-the-middle to do it for you. 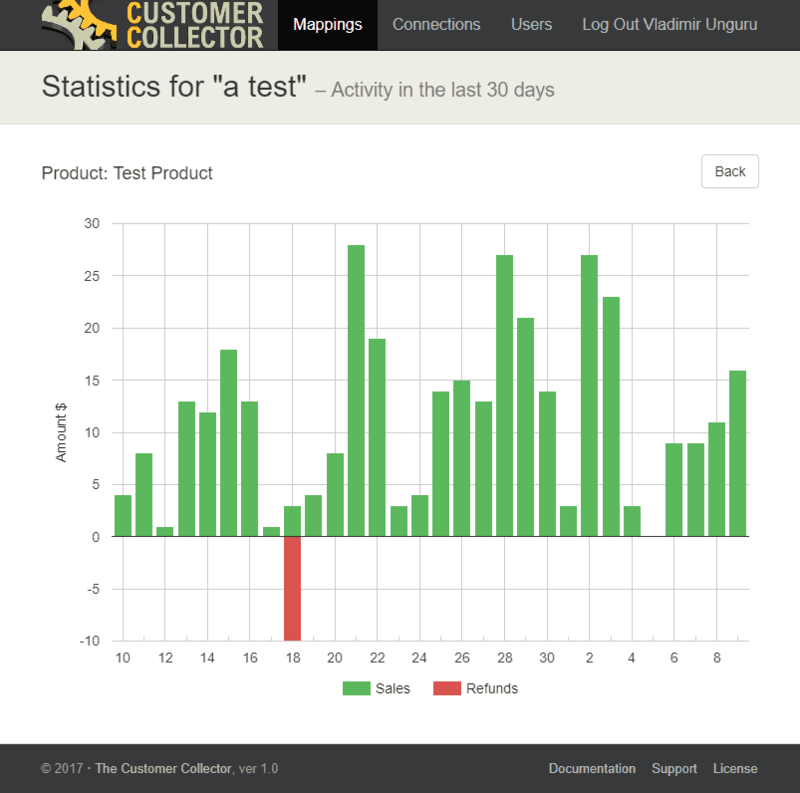 To answer such a need I came up with the idea of The Customer Collector software, which is acting as a gateway between two completely different APIs by mapping sources to targets. When such a mapping receives a notification from the source, it retrieves lead information out of the request and passes it to the target. The Customer Collector is available in two flavors: LITE and FULL. The LITE version is a simple script designed for one single task: it listens to sale notifications from JVZoo, then extracts the customer data from it and eventually, your customer ends up on one of your AWeber lists. The lite version was the first incarnation of this solution. The FULL version, on the other hand, is a full-fledged web application capable of connecting any type of source to any type of target, and new integrations can be added very easily due to the modular design of the app. In addition, the full version can also gather statistical data about the products you are selling, which can be displayed in graphical form. A LIVE DEMO is also provided to play with, before deciding whether to purchase it or not. Both flavors can be conveniently installed on any web hosting server through a web interface. You have to transfer two files only, and the installer script will take it from there. It takes less than a minute. How Does “The Customer Collector” Work? The JVZoo integration is, in fact, an IPN (Instant Payment Notification) listener and it is intended to be used in JVZoo affiliate links, but can be used by product owner as well. The AWeber integration talks with your AWeber account through API calls. 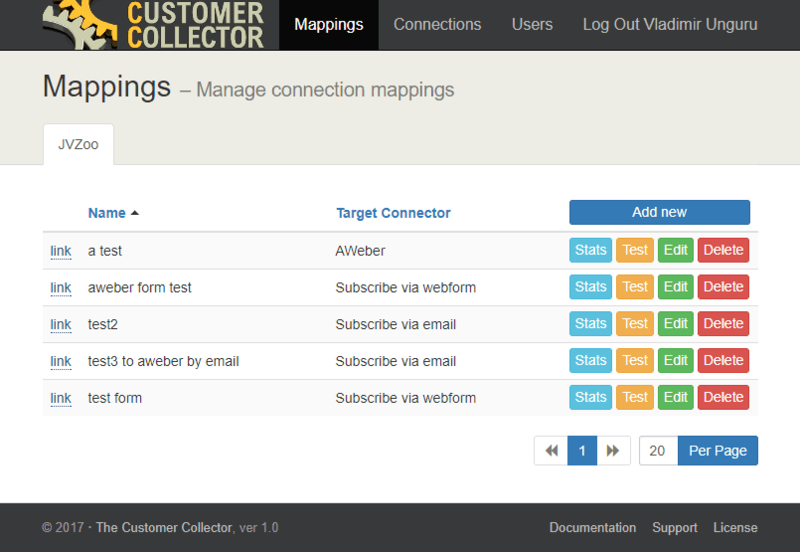 The Customer Collector uses something called “mappings” enabling you to connect one source type to one target type connection. You can create unlimited mappings including any combination you desire. If you are not willing to pay for such a tool, you can still download the LITE version completely for free, knowing that you’ll miss a bunch of cool features. The online manual is always freely available, so here’s another way to get acquainted with these products. Vladimir Unguru is an IT professional and part-time Internet marketer. He is an experienced programmer for over 20 years and he has recently started to develop IM related software.